Wingert Bypass Feeders are designed to provide you with a rugged and dependable means of introducing treatment chemicals into hot and chilled water, or other liquid streams. 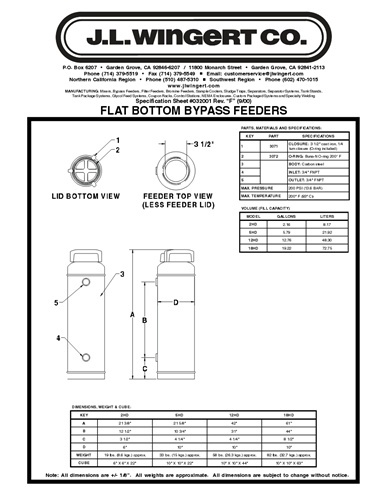 Simplicity of design and ease of operation is inherent in every Wingert Bypass Feeder. With three styles to choose from, the J.L. 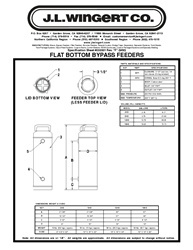 Wingert Company offers the widest variety of feeders in the industry. Perfect for Shot/Slug Feeding Chemicals into Closed Loop Systems, Cooling Towers or Boilers.